It ended up taking a while to release all of the material that With a Terrible Fate presented our PAX Aus 2016 panel, “Press X to Scream: Horror Storytelling in Video Games”—mainly because the majority of our presentation was brand-new, unpublished work. With the release of this article, however, the entirety of our panel is now online in article form. 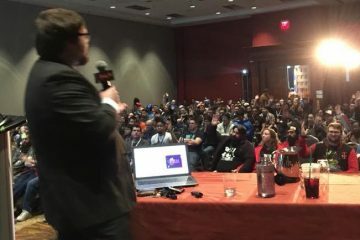 This article is based on the last section of my own portion of our presentation, which I called “The Inequitable Judgment of Silent Hill” at PAX Aus. (Spoilers for Silent HIll 2 follow.) 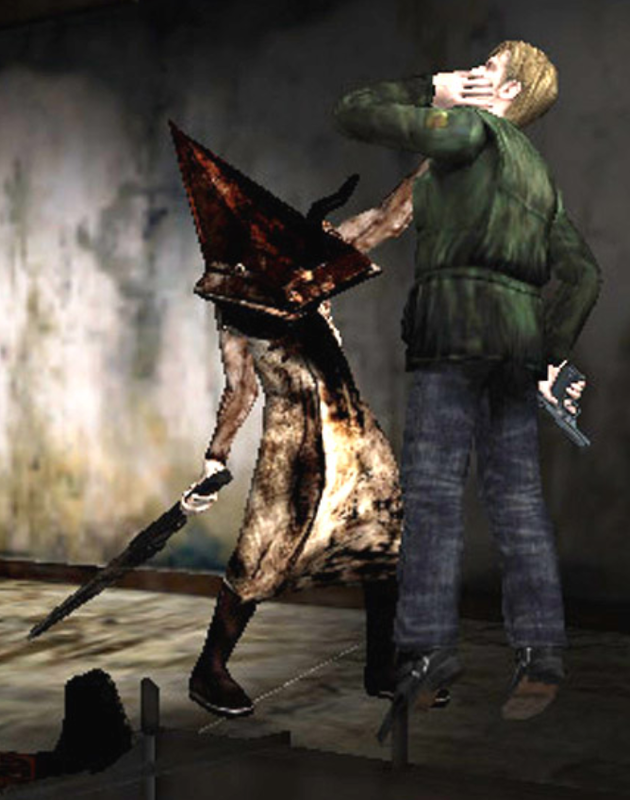 I want to suggest that the horror of Silent Hill 2 isn’t ultimately due to any of the obvious candidates, like the disturbing motif of Pyramid Head or the deep-rooted guilt of characters like Angela and Eddie. Rather, Silent Hill 2 is so haunting because the game’s world constantly judges the player and James in a way that is deeply unfair. By understanding why this is the case, we’ll learn about one of the many ways in which video games can make the difference between a player’s knowledge and an avatar’s knowledge—differences that I’ll call epistemic asymmetries—aesthetically meaningful. Before we can appreciate the horror of Silent Hill 2, we need to get a piece of theory on the table. The piece of theory comes from the mundane observation that the player of a video game is not the same thing as the avatar of the video game. This is a mundane observation, but it’s one that’s getting increasingly easy to ignore as developers and critics focus on “immersion” in games, where “immersion” is the degree to which the player of a video game feels as if she is really “in the avatar’s shoes,” occupying the avatar’s perspective from inside the fictional world of the game. People who laud this kind of immersion are basically trying to collapse the player and avatar into a single entity—or, at least, they’re trying to minimize the difference between them. Nonetheless, there are deep differences between avatars and players. 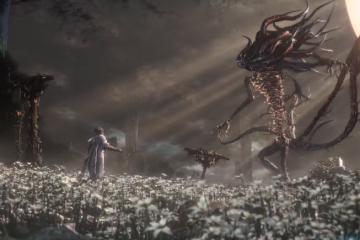 One of the most significant kinds of difference between them in regard to video-game storytelling is epistemic asymmetry: when the beliefs, knowledge, and thoughts of the avatar differ from the beliefs, knowledge, and thoughts of the player. This might seem like a niche concept, but it’s actually remarkably commonplace in video games. Consider, for instance, the following example (which I adapt from my thesis on the storytelling of video games). Imagine that you’re playing a video game in which you’re guiding your avatar through a dungeon, with a variety of possible routes. Importantly, this game’s world doesn’t feature anything magic or science-fictional like immortality or reincarnation. At one point in the game, you encounter an enemy who was hiding behind a corner; as your avatar rounds that corner, the enemy jumps out and kills him. The game reloads to a few minutes before that fatal encounter; you do the same thing, convinced your avatar can beat the enemy this time, but the avatar just ends up dying again. Eventually, you decide to have your avatar avoid the corner, going a different route so that the avatar won’t encounter that pesky enemy. Now, suppose that someone saw your avatar avoid the corner, and that person asks you this question: “Why did the avatar avoid that corner?” The more you think about this question and how to answer it, the more it becomes something of a puzzle. On the one hand, you know the obvious answer: you—the player—knew that there was a lethal enemy hiding out behind the corner, and, after many failed attempts to get your avatar past the monster, you decided to simply avoid it altogether. On the other hand, the avatar—the character that actually avoided the enemy within the game’s world—couldn’t possibly know about the enemy in that way, since the avatar was killed every time he encountered the enemy (and, remember, we’re imagining that this is a game where the avatar isn’t immortal, reincarnated, or anything like that). The point here isn’t to try to solve the above puzzle; that would take us way off-track, and I’ve already offered a full solution in my thesis on the storytelling of video games. The point is just that this very common case of a player learning something about a game through the death of the avatar and then acting on that knowledge is also oftentimes a case of epistemic asymmetry. There are all sorts of differences between what an avatar knows and what a player knows, and they can end up becoming crucial to the stories of video games in surprising ways. This, we will see, is just what happens in Silent Hill 2. Judgment and guilt are central to the Silent Hill series, and Silent Hill 2 is no exception to this rule. The story brings James Sunderland to Silent Hill, Maine, on a mission to understand a letter seemingly sent to him by his dead wife, Mary; over the course of the game, he meets other characters trapped in Silent Hill, all tormented by guilt over something in their past. James himself, hounded by monsters and the iconic Pyramid Heads, ultimately remembers the truth: he was responsible for his wife’s death, smothering her with a pillow after she, terminally ill, begged him to kill her. Silent Hill is a metaphysically mysterious town: it finds its origins in the machinations of a corrupt cult; it enshrouds visitors in a ubiquitous mist; it is intimately intertwined with a nightmarish, interstitial space known as (among other names) the Otherworld; and, most importantly for our purposes, it molds itself to reflect and judge the psyches of its visitors. In Silent Hill, people are judged for their past and forced to confront their sins everywhere they turn. 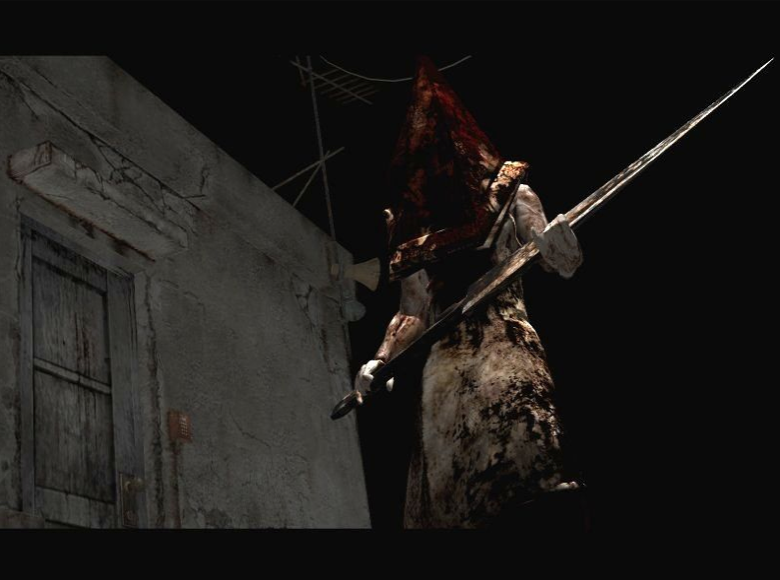 Pyramid Head, the iconic, hellish poster-child of the series, stalks James as a manifestation of his own guilt, punishing him for killing his wife; Angela sees hellfire everywhere she turns, burdened by hatred and shame brought on by the sexual abuse she endured at the hands of her father and brother; and the Otherworld, even more directly, molds itself into something akin to the subconscious terror of whoever enters it. In fact, one of the reasons why Silent Hill 2 works so well as a puzzle-solving horror video game is that, as the player works to navigate and understand the landscape of the bizarre, labyrinthine town, she is simultaneously working to understand the bizarre, labyrinthine psyches of the game’s characters—because (to reiterate) the town molds itself into a metaphysical representation of their psyches. But it’s not just the characters of Silent Hill 2 who are being judged by the game’s world: the game’s world is judging the player, too. 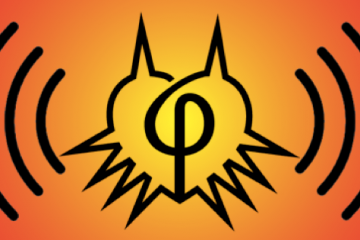 I don’t just mean this as a rhetorical flourish of unjustified interpretation: the game literally keeps track of various actions that the player takes over the course of any given playthrough, and it “judges” them for these actions by causing the story to end in different ways based on the player’s actions. To take two examples: James begins the game carrying around a picture of his deceased wife, Mary, which the player can examine on the inventory screen; also, later in the game, James talks Angela out of killing herself and takes her knife away from her, at which point the knife becomes an item that the player can examine. 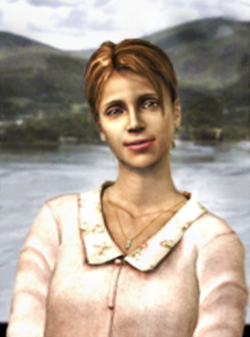 If the player examines the photo of Mary frequently (among other things), then the game ends with James seeing his dead wife one final time and then leaving Silent Hill with Laura, a girl whom he met during his adventure there; on the other hand, if the player examines Angela’s knife frequently (among other things), then the game ends with James seeing his dead wife one final time and then killing himself, driving his car into Toluca Lake. This is an oversimplification—there are more than two endings, and there’s more than one action that factors into the likelihood of getting any particular ending—but it’s a fair representation of how the game derives its ending from player behavior. 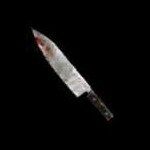 Rather than the player being presented with certain decision points that affect later events (e.g., “kill this NPC or let her live”), the game instead collects a series of data points about the player’s general behavior (e.g., how frequently the player examines the knife). In this way, it seems as if the game is trying to reflect and judge the player’s psyche in the same way that it’s judging the characters’ psyches: it’s judging them all on how they think and their general patterns of action, rather than on singular choices taken in a vacuum. This idea, at first, seems poetic: you’re part of a game world that judges you to the same extent as it judges its characters. However, the more you think about this idea, the more you’re forced to confront an unsettling puzzle. While the game is indeed judging the actions that the player is taking, it’s meting out its punishment and reward for those actions on James: his very life depends on the player’s decisions. You should find it problematic if a system punishes someone else for your actions—in the case of a judgment-based world like Silent Hill, that would be metaphysically unjust in a bizarre way. But of course, there’s a seemingly easy way to get around this metaphysical unjustness: just say that the player is making decisions “as” James in some way. When the player decides to examine the picture of Mary, for instance, that means James is examining the picture within the fiction of the game. So, on a view like this, the game is really still judging and punishing James for his own actions—it just so happens that the player is deciding what many of James’ actions will be. That might be able to get around the problem of metaphysical unjustness, but a certain condition needs to be satisfied in order for that to be the case: namely, the player needs to be able to act as a proxy for James, recognizing James’ beliefs, knowledge, desires, etc., and choosing his actions based on those beliefs, knowledge, desires, etc. If that were the case, then James, even when controlled by the player, would be a single, coherent, rational agent, who has certain beliefs and desires and acts on them. In contrast, if the player doesn’t share James’ beliefs and desires and act on them, instead acting on their own beliefs and desires that James couldn’t possibly have, then their actions can’t really be attributed to James in a way that identifies him as a single, rational agent. And, if it turns out that James isn’t a rational agent (doing things for his own reasons, based on his own beliefs and desires), then it won’t be fair for the game to judge and punish him for those actions—that is, as long as we take onboard the fairly standard assumption that this very basic sort of rationality (acting based on one’s own beliefs, desires, knowledge, etc.)  is a precondition of responsibility (i.e. being held accountable for one’s actions). This is where epistemic asymmetry comes in, because it turns out that the player—at least, not a first-time player coming in without full knowledge of the game’s story—can’t act in the way necessary to make James a rational agent. The relevant asymmetries go in two directions. First, the avatar—James—knows things that the player doesn’t. James has an entire prior history with his wife and with Silent Hill, and the player knows very little of this until the game is nearly over. 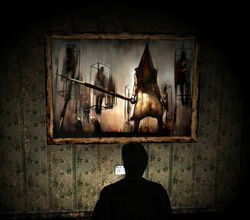 Ordinarily, the player not knowing the avatar’s backstory isn’t crucially important to the structure of the player’s relationship with the avatar; however, because Silent Hill 2‘s world is metaphysically centered on judgment of the characters inhabiting it, this epistemic asymmetry takes on a special significance because the player cannot use James’ backstory to make him commit actions consistent with his character, beliefs, and desires. What about the objection that James himself doesn’t know about his prior history at the start of Silent Hill 2? After all, his discovery at the end of the game that he killed his wife and had been suppressing the memory for the whole game is a central turning point in the story. While this seems like a plausible counterargument, it overlooks the fact that it’s also centrally important to the game that James’ suppressed psyche bleeds into the world around him, representing itself in the town through torturous obstacles like the Pyramid Heads. So even though James isn’t consciously aware of his history, his latent knowledge of it is a crucial determinant of his actions—and the player doesn’t have that knowledge on any level, be it conscious or latent. Second, the player knows things that the avatar doesn’t. Particularly relevant here is the player’s knowledge that she is playing a video game. Here’s what I mean: Silent Hill 2 makes clear to the player very quickly that it’s a game involving complicated puzzles, with many different items and bits of information required to solve each one. So it’s not at all unreasonable, for example, for the player to acquire Angela’s knife and assume that it will later play a key role in a puzzle. A player who assumes that the knife works in this way will probably select the knife in their inventory and try to use it during various puzzles, particularly when she can’t think of another possible solution. And this action, as discussed above, will make it more likely that James kills himself at the end of the game. Presumably, the action of examining the knife makes this ending more probable because it’s supposed to suggest James contemplating suicide, as Angela does when she stares at the knife early on in the game; but in this scenario, the player is only looking at the knife in an attempt to press on and solve the puzzles in James’ way—virtually the opposite of giving up and having James kill himself. This is another instance of epistemic asymmetries in the player and James leading the player to act on reasons that couldn’t be James’: James wouldn’t be staring at the knife and thinking that he got it as an eventual key in a video-game puzzle (he “got it” because he wanted to take it away from the suicidal Angela). 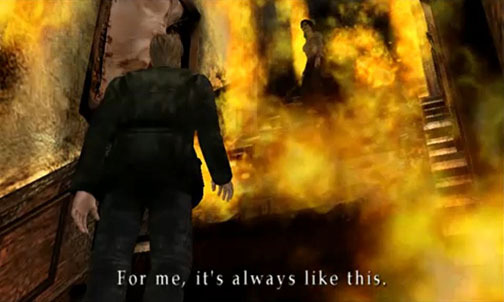 The result of these epistemic asymmetries is that the player of Silent Hill 2 ends up making James act in ways that couldn’t rationally be attributed to him (i.e. James). This separation of James’ actions (commanded by the player) from his beliefs, knowledge and desires renders him an irrational agent—someone who couldn’t rightly be held responsible for those actions. Yet the world of Silent Hill disregards this irrationality, and metes out judgment on James all the same. That, I think, is what instills the game with such an unsettling sense of horror: when James steps into the metaphysically punishing town, he not only becomes irrational in virtue of the player’s choices, but he also becomes the victim of iniquitous judgment for his irrational actions. Put differently: the town punishes James for what the player did, and what the player did can’t be consistently attributed to James’ own decision-making. In reviewing Silent Hill 2 through this lens, then, we don’t just get a new understanding of the game: we also get an example of how something that might initially seem like a design defect in games—epistemic asymmetries between player and avatar—can end up being a potent tool of storytelling in the right circumstances.